Kuala Lumpur is in a fantastic location for travelling South East Asia and also heading down to Australia and New Zealand. It’s also one of the main hubs of Air Asia aka budget flying in the region. Most people tend to spend a day or two exploring the capital before heading onwards to their next destination. 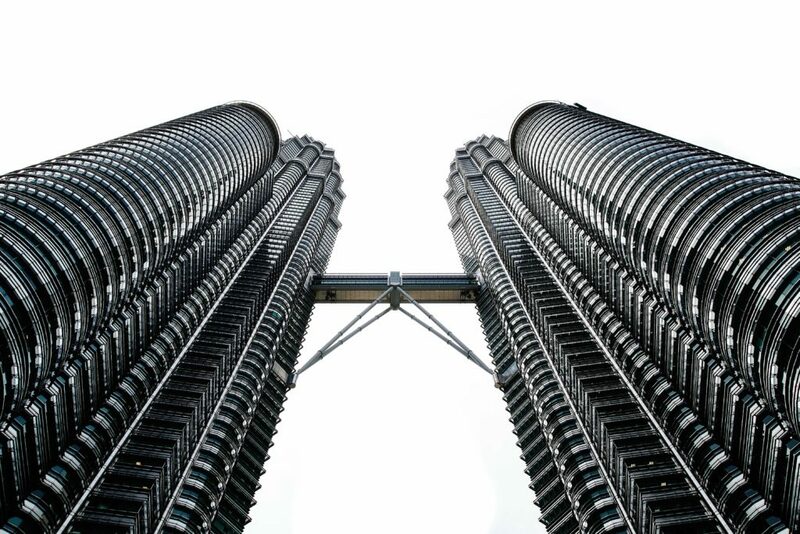 I headed to Kuala Lumpur a while back for a bit of a break from China and a bargain getaway. I’ve posted some photos from my trip on instagram and have had some questions from followers on what to do during a short stopover so i’ve put together this guide on how to spend 24 hours in the city. Grab some breakfast from a local vendor outside. 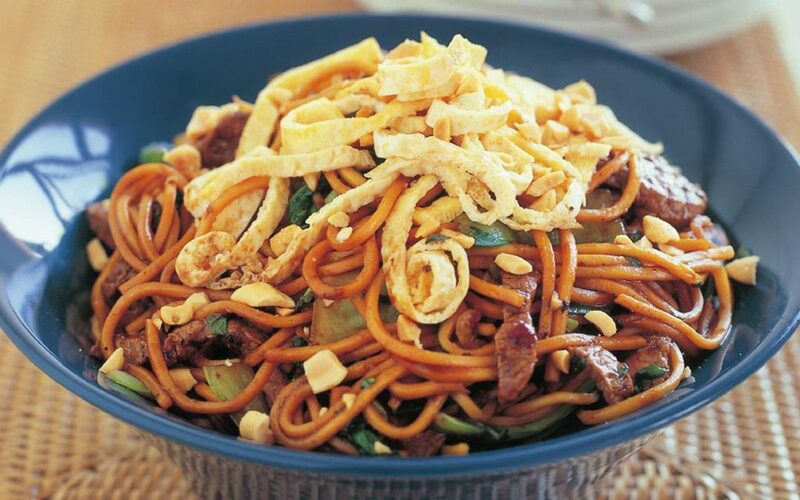 On my first day in KL I just randomly picked a dish and it turned out to be the one below – delicious! Make sure to order some Teh Tarik, one of the nicest teas I have ever tasted. If you’ve got a bit of a sweet tooth then you will love it! Batu Caves is the furthest location out of the city you’ll be seeing today. 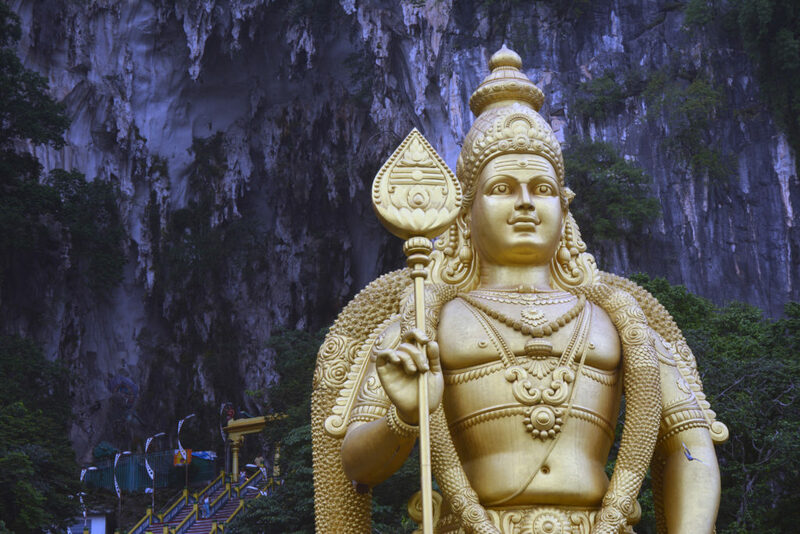 It’s easy to get there – take the train from KL Sentral all the way to the final stop which happens to be Batu Caves (see! Simple). Ladies make sure if you’re wearing shorts or a skirt that you either bring a scarf or hire one to cover your legs as its seen as respectful and you may be denied entry without one. And beware of the monkeys – they are feisty and will steal anything you have especially food! Entry to the Batu Caves is free. The caves are a good place to stop and grab an early lunch – there are some food stalls and good fresh juice stands outside. When you’re done head back on the train and get off at KL station. 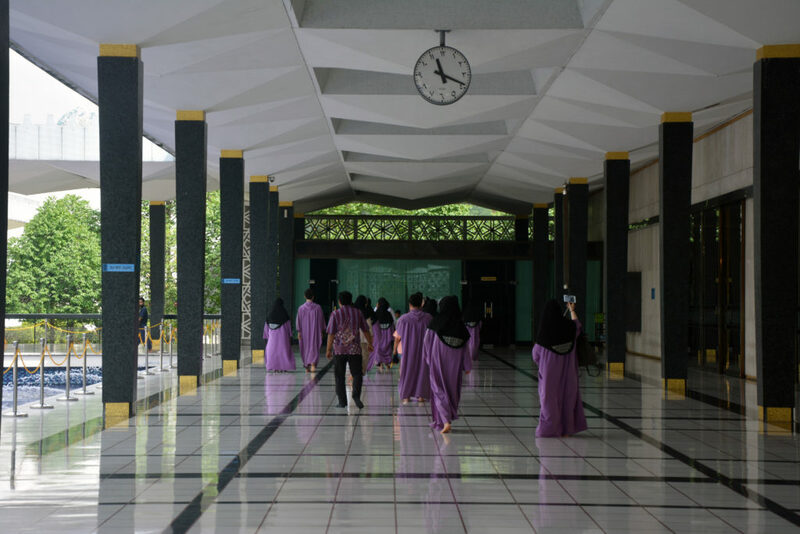 When you exit, it’s a ten minute walk to National Mosque of Malaysia. It’s free to get in – you will have to queue to be given appropriate dress and you have to leave your shoes outside. Ladies will be given a headscarf. Hop in a taxi (only one of the day and it’s cheap anyway) to the KLCC centre. The journey should only take around 15 minutes. See the beautiful 452m twin towers up close and personal. I would say that you don’t need to go up them as the main point of interest is the towers themselves. Outside there is a sign telling you where the best photo taking areas are to get the perfect snaps. When you’re done taking photos stop by the shopping mall for a bite to eat – there are plenty of restaurants to choose from and there’s a food court inside too which includes food from Malaysia and all over the world. And if time permits before your onward flight, you HAVE to stop by the Helipad lounge. I mentioned it in a previous blog post and when people ask for KL recommendations, this is always on the list. It’s a helipad by day but after 6pm, it becomes an open air bar with the best views of the city. All you have to do is order a drink – hello Long Island Iced Tea and enjoy the view. 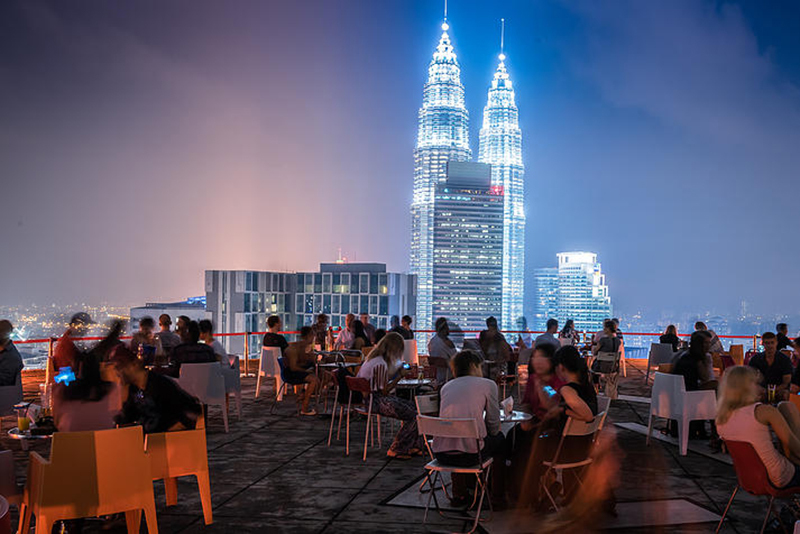 If you’re looking for the perfect way to end your day in Malaysia’s capital,then this is it. And by the time you’ve had a drink or two then it’s time to head back to the airport. And after this trip, you’lll probably want to come back and explore a little bit more. Until next time KL! "That awkward moment when you delete your blog"
Great information to travel Kuala Lumpur. Thanks for giving. Nice tips! thanks for sharing it! Awesome travel posts! Thank you very much because i have to go next month visit at Kuala Lumpur.